The week long, free developer conference you can attend in your pyjamas! May 25th - 29th, 3 sessions a night! ANZ Coders is an interactive, online, virtual conference, running for two hours each night, for a whole week. Being virtual means you won't need to ask the boss for time off work; you won't need to pay a conference fee; and you can even show up in your pyjamas, pants optional. We won't tell anyone! Attending is easy! Just click to Register. That's it! You won't be asked to install any third party software or browser plug-ins. It's just you, a browser, a cool drink, a comfy seat, and us. Sweet! Each night will feature three 30-minute sessions, with a 15-minute break between them. That'll give you time between sessions to collect your thoughts, check the tweets, take a bio-break, refill your drink, put the kids to bed, take the bins out, and whatever else you need to do. Want to stay up to date via email? Hit the button. We thank our sponsors for their support, and you can too. Click on their logos to find out more about them! Working Distributed - How Does It Even Work? It's virtual. It's online. It's wherever you are at the time. No need to worry about transport or parking for this conference. It's free! Zero. Nada. Nothing. Squat. No, but feel free to buy yourself a pizza and drop bits all over the floor at home if you want that full conference experience. All the abstracts are up on UserVoice. The community (that's you!) will have a week to vote on the topics they most want to see. The top community voted submissions will then be asked to present, and we'll work out the schedule after that. We'd love you to. We do have some costs to cover so hit us up at contact@anzcoders.com and we can talk about options. Absoutely. We'll have all the links for you right here, once the conference is done. Do I have to behave? Yes, you do. Be nice, OK? That means no spamming, harassment, discrimination, racism or abuse. This includes speakers. Freelance Theme courtesy of Start Bootstrap. The thoughts and opinions of the individual presenters are theirs alone, and do not necessarily reflect those of ANZ Coders or their respective employers. All content provided is for informational purposes only. ANZ Coders makes no representation as to the accuracy or completeness of any information provided and will not be liable for any errors or omissions in this information nor for the availability of this information. ANZ Coders will not be liable for any losses, injuries, or damages from the display or use of this information. These terms and conditions of use are subject to change at anytime and without notice. 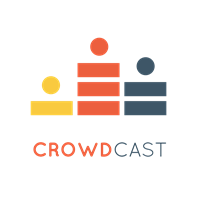 ANZ Coders uses Crowdcast.io, UserVoice and Google technologies to deliver the service. Your personal information will be collected and handled by these parties. See their respective sites for privacy information. The Object Mother, Test Data Builder, Anonymous Variable/Value, equivalence class and constrained non-determinism patterns/concepts can help you make your tests more readable/meaningful, more terse and more maintainable when used in the right way. This talk will explain why and where the aforementioned patterns are useful and the advantages they can bring and show examples in code using a library I recently released called TestStack.Dossier. 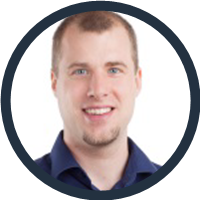 Robert is a Principal Consultant and Technical Specialist (Microsoft Azure) for Readify. 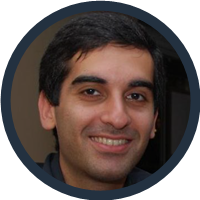 He specialises in leading and mentoring software teams to deliver business value. 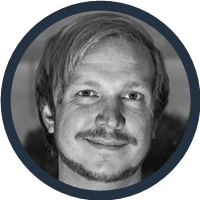 He has had a range of experience working with organisations to introduce and/or improve the use of Agile, Lean and continuous delivery approaches and this is an area he is particularly passionate about. 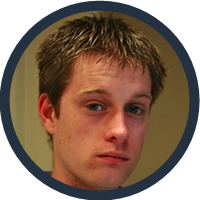 While Robert has experience in a range of technologies, he specialises in C#, ASP.NET and Microsoft Azure. In the last few years IoC became a de facto part of the modern application structure, especially with the interesting features the IoC containers bring along. The ASP.NET team realized this from the beginning and baked the IoC within the products (MVC, WebAPI, SignlarR), but each web product ended up having its own IoC infrastructure, making it difficult to use a unified IoC for all the different products on the new single stack with OWIN. So with the recent changes brought forward with ASP.NET 5, IoC is now deeply integrated within this single stack, providing the same infrastructure for all. In this session you will learn how the new IoC infrastructure works, what all these new “UseService” API’s are all about, and how the different IoC containers can be integrated. I’ve been fortunate enough to work for a distributed team for the past 18+ months. But for developers or teams who are considering this option, what does this actually involve? How can you maximise your chances of success? How can you actually be productive and happy no matter where you are? Actually being remote - is it really all about the lack of pants? Timezones - are they really that bad? Communications - can you be inclusive without drowning in noise? Inter-personal stuff - have they synthesized the human touch yet? Vision and strategy - how do you keep everyone on the same page? 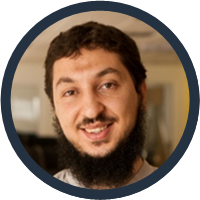 Bishoy has a Bachelor Degree in Engineering and Microsoft .Net Certifications [MCPD, MCTS, MCAD and Sitefinity Certified Developer] as well as 10 years of professional experience in the field of Software engineering. In this talk, we’ll highlight 10 less well known features of .NET. Features that may not be used by most developers very often. But if you know they’re available, then it’s good to know that they’re sitting in your toolbox, ready for action! David Gardiner has been creating software for over 20 years and has a passion for continual learning and improving quality. He helps run the Adelaide .NET User Group and works as a Senior Software Developer at RL Solutions on healthcare software. He blogs at http://david.gardiner.net.au and tweets at @DavidRGardiner. Did you ever ask yourself, when using async/await together with Entity Framework and transactions to load data from your database, what kind of black magic Entity Framework is pulling off behind the scenes? Or do you need to write custom code which participates asynchronously within a transaction? Together we explore the inner workings of transactions. We learn how to leverage transactions with asynchronous code and get to know why there is no way around async void when working with transactions. After this session there will be no more black magic. My name is Daniel Marbach. I’m from the beautiful chocolate country Switzerland. I’m the CEO of tracelight GmbH in Switzerland and also working as a Solutions Architect for Particular Software. I regularly blog on http://www.planetgeek.ch, I’m a Microsoft MVP for Integration and founder of the .NET Usergroup Zentralschweiz. Terms like big data and its close cousin, predictive analytics, get thrown around liberally these days. But what are they actually about? And why should we care? In this presentation we will go over the very basics of predictive analytics and machine learning, various approaches to them, challenges in their implementation, and some of the many applications. The next version of C# is upon us so if you thought that this language was long forgotten by its creators come along on this journey where I’ll prove you otherwise! We will look at how C# has evolved over the years and what we might expect in the future. Are you ready to embrace the programming language of the future? Author of C# Smorgasbord. Speaker. Pluralsight author. Microsoft .NET MVP. Xamarin MVP. Works for @Invoice2Go. Swede living in Sydney! ReactiveUI is an MVVM framework designed to write testable mobile and desktop applications in C#. But I don’t want to talk about just that. In this talk I will go through what functional reactive programming is, why you should care, the inspiration behind ReactiveUI and how to use Reactive Extensions and ReactiveUI in your apps. In this session you will learn about Azure Event Hubs, a tool that developers can use to receive large numbers of events (up to 1,000,000 per second). You’ll learn the core concepts surrounding event hubs, how to send events, how to read events and how to all of this securely. 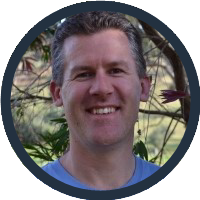 Mitch Denny is a Microsoft MVP (ALM), ASP Insider and the Chief Technology Officer of Readify. 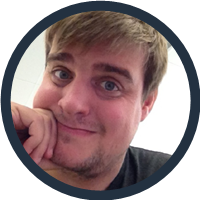 Mitch spends his time working with all kinds of organisations around their technology strategy and is particularly interested in cloud computing, mobility, ALM and DevOps and emerging trends such as the Internet-of-Things. There’s a new world of web development out there which a bunch of funky sounding tools. If I want to build a new web application today what do I need to know about these tools? What’s the cross-over to what we’ve been doing in ASP.Net for the last 10 years? Let’s take a dive into the world of front-end web tools and see why you not only should know about them but will need to know about them to build web applications in ASP.Net. So you broke up your big, unmaintainable monolithic system into microservices. Good for you. Each piece is now easy to understand and maintain. Except things didn’t get simpler. You’ve got lots of dependencies between your services to implement your business processes. You’re having to modify many services to change your processes and the complexity is exploding. This isn’t any better, if you can’t improve things you’re going back to the old way of doing things. This talk discusses how you can use just three simple architectural patterns to design and implement microservice systems that can isolate the complexity of changes and support managing the evolution of business logic and processes over time. You will also learn how these design patterns can help deal with the distributed, non-transactional nature of microservice systems. As a bonus it includes other buzzwords like event sourcing and CQRS at no extra charge. 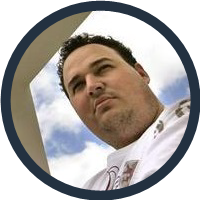 Colin has been working with .NET since 2003 and has built and maintained systems for a variety of industries. He tends to focus on the backend in order to maintain a minimum safe distance from pixels (shiny or otherwise). Recently he has been accused of devops. 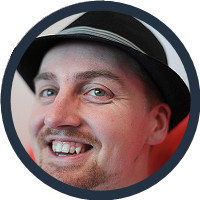 He is currently working on a CQRS Event Sourcing microservices system built on Azure during which he’s written a replacement for the Azure Emulator and considered rewriting all the other Azure tooling as well. He is a mostly recovered overengineering addict and is deathly allergic to PowerShell. 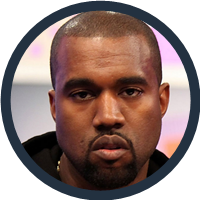 Despite its presence in his talk title he doesn’t actually like the word microservices, considering it pretentious. Limit 1 per customer. In simple cases, yes. But as soon as your application needs to deal with people and/or computers in different locations around the world (not to mention daylight saving) it may not be! This talk will demonstrate some of the approaches you can make to better handle storing, comparing and displaying globally-aware dates and times both on the server/desktop and in the browser. In this session Jorge will explain some of the great F# features that are missing in C# and why they are important.  Jorge works as Lead Consultant for Readify and he has extensive experience applying good practices and patterns, introducing new technologies to development teams and refactoring legacy code to make it more maintainable. 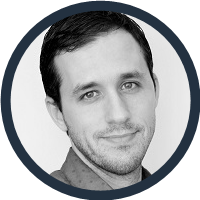 He also has several years of experience applying agile methodologies, helping teams to estimate, and deliver high-quality software using Domain-Driven Design. 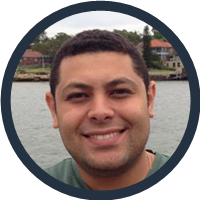 He is a regular speaker, organises the F# Sydney user group and frequently runs workshops to introduce F# to C# developers.